Aggregate Industries’ Building Products team has helped to restore the roof of a historic hall, in Rutland, to its former glory, after supplying 700m2 of its Bradstone Cotswold roofing tiles to the project. Located in the village of Langham, Ranksborough Hall is a large grand house that was built in 1893 for Lord Ranksborough, who was then equerry to Queen Victoria. These days the hall and its surrounding fifty acres of parkland are home to many exclusive residential and holiday homes, as well as a sited touring park. Aggregate Industries were brought on board by Rutland Roofing, appointed contractors on the job. 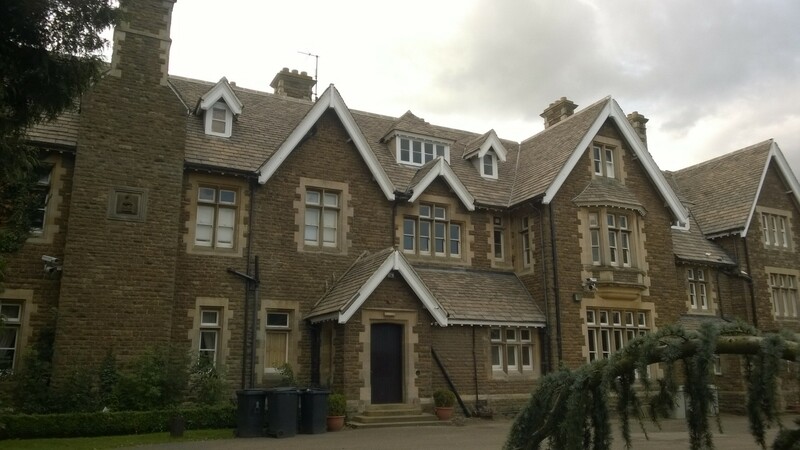 The hall originally had Collyweston Stone Slate on the roof, which needed to be replaced, but the managers required a new product that would resemble a similar colour and effect. Aggregate Industries’ Bradstone Cotswold roofing tiles did just that. Having used the Bradstone Cotswold tiles previously, when a small section of the roof was rebuilt, the client knew exactly where to come when it came to replacing the whole roof. In total, the project took around six months to complete as the roof was replaced in sections, with the tilers working their way around the roof. As a heritage building, built over a century ago, it naturally presented challenges to the team working on it. For Aggregate Industries, when measuring the roof, only parts could be accessed via the main house. Therefore, scaffolding had to be erected to complete the job. Also, with such a unique property, the roof was not a standard shape, meaning the team had to deal with lots of different and sometimes awkward angles. Aggregate Industries’ Bradstone Cotswold roofing tiles are available in a range of sizes, to be laid to a traditional diminishing course. They are a highly acceptable reconstructed stone alternative to natural stone slates. Supplied in a full, but rationalised range of diminishing lengths, and random widths, for an authentic appearance. Thanks to the ease of laying and availability, customers can benefit from a reduction in time and costs often associated with second-hand material.